Red Is The Rose is a traditional sonng... Irish variant of the Scottish song, The Bonnie Banks O' Loch Lomond . 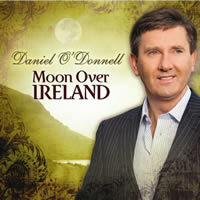 This version by Daniel O'Donnell is featured on the album Moon Over Ireland. Level Of Ease: Fairy Easy. There a few barre chords, but they are all easy to play. | ♩ ♩ ♩ ♩ | = |1 2 3 4 | or | 1& 2& 3& | etc. I have kept the chord changes as simple as possible. If you listen to the guitarist, you will notice he plays a few interesting chords which blend in very well, e.g., at the end of the second line, 1st verse, he plays a B6 chord (22110x or x24444 or 224444) as opposed to a B7 chord - help with understanding written chords. He also plays the occasional C#m7 (446454 or x46454) instead of C#m... the choice is yours. When the guitarist plays an E chord, he sometimes adds an F# (EaddF#) to add color to the chord - 022102, or a G# (EaddG#) - an octave above the existing G# - 022104. When you see a chord separated by a hyphen, e.g., | A - G#m | play the A chord for 2 beats and G#m for 2 beats... the hyphen splits the beat count of the bar evenly between the 2 chords. All other chords have a 4 beat count. DANIEL O"DONNELL chords and lyrics are property and copyright of their owners. "Red Is The Rose" chords and lyrics are provided for educational purposes and personal use only.